Unjust suffering! Ouch, even the sound of those words sends a chill up and down my spine. Such a thing doesn't seem fair or appropriate — and it probably isn't. Yet we have many brothers and sisters bearing up under pain and unjust suffering because of their commitment and loyalty to the only True God and to his Son, Jesus Christ. 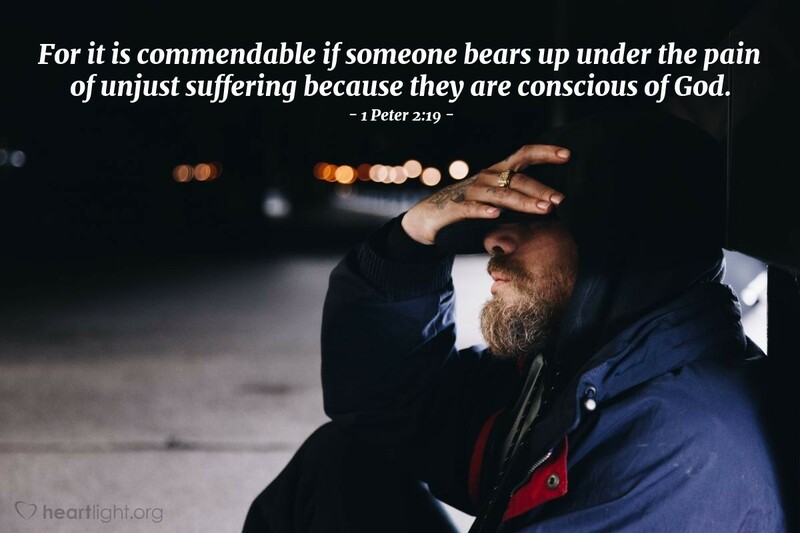 Wouldn't it be incredible if those of us who are not touched by terrible persecution or hardship would begin each day praying for those in our spiritual family who do face hardship, persecution, suffering, and mistreatment? As they display the grace of Christ in the face of such difficulty to honor God, let's pray that our Father will not only give them strength to endure, but that he will also deliver them soon!